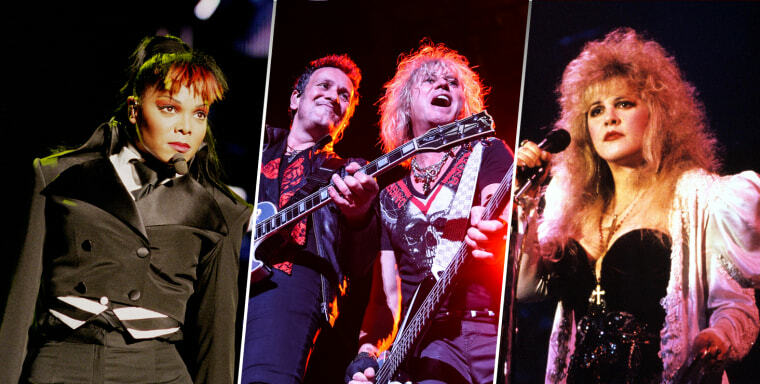 Radiohead, Def Leppard, Stevie Nicks, Rage Against the Machine, and the Cure and others are also part of the 2019 class. LOS ANGELES — Nominees for the Rock and Roll Hall of Fame's Class of 2019 were announced Tuesday morning: the lineup includes Radiohead, Def Leppard, Stevie Nicks, Rage Against the Machine, the Cure, Devo, Janet Jackson, Kraftwerk, LL Cool J, Roxy Music, Todd Rundgren, John Prine, MC5, Rufus featuring Chaka Khan and the Zombies, according to Rolling Stone. The top vote-getters will be announced in December and inducted March 29th, 2019 at a ceremony at Brooklyn's Barclays Center. The ceremony will be broadcast on HBO later next year. Last year's inductees were Bon Jovi, the Cars, Dire Straits, the Moody Blues, Nina Simone and gospel singer-guitarist Sister Rosetta Tharpe. Several of this year's nominees have appeared on previous ballots, but this is first appearance for Def Leppard, Devo, Prine, Roxy Music, Nicks and Rundgren. To be eligible this year, each nominee's first single or album had to released in 1993 or earlier. Radiohead and Rage Against the Machine both made their debut appearance last year in their first period of eligibility; Kraftwerk and LL Cool J now have been nominated five times, the Zombies four, Janet Jackson and Rufus featuring Chaka Khan three and the Cure twice. According to the announcement, a voting pool of more than 1,000 artists, historians, journalists and members of the music industry will select the new class, and fans will have a chance to be a part of the process. They can vote on the Rock and Roll Hall of Fame's website or visit the museum in Cleveland and make a selection at an interactive kiosk. As usual, there is a list of bandmembers from each act who qualify for induction; see Rolling Stone for specifics.